How to Copy Text From PDF, No Matter Scanned or Secured? To solve this problem, here we cover the reasons why cannot copy text from PDF and give out the workaround letting you copy text from a PDF, no matter it is a scanned PDF, a secured PDF, or underneath other situations that stop you from copying the text from a PDF. Why You Cannot Copy Text from PDF? There are 2 types of PDF, native (editable and searchable) or scanned (image-based). Most of our paper work focuses on native PDFS, but the need to work on a scanned one is growing. It is quite easy to copy text from a native PDF if you get a reliable PDF reader in hand. Also, it is known to PDF users that PDF offers a higher-level security to protect the files, with which users will be restricted from copying text from the PDF. The PDF is scanned, image-based. Visually, a scanned PDF is not that clear as native ones. And when you select a part of the scanned PDF, a whole page will be selected as an image, as following. The PDF is secured with a PDF password. There are 2 types of PDF password. Open password: restrict you from opening the PDF. In this case, you can not even open the PDF file, let alone copying text from this file. Owner password: restrict you from printing, copying, pasting, etc. In this case, you won’t be allowed to copy and paste text, since the “Copy” toolbar is disabled when you right click to start the “Copy” action. No matter which password is protecting your file, to copy text from this PDF, you will need to unlock PDF first. There are problems about your PDF reader. Though this rarely happens, it is still possible. In this case, try another PDF reader, please read on to find some recommended free PDF reader in following parts. We are supposed to provide our readers with the easiest way to “copy text from PDF”, but we decide not to do so, in light of so many “cannot copy text from PDF” issues that much likely to happen on us. And here we will start with an all-powerful solution to copy text from any PDFs, no matter it is native, scanned or secured, we hope our readers can kill such a problem once for all. Like many of our users, I also in the viewpoint that, the best way to enhance productivity in your workflow is finding an efficient and professional tool. And this is also true for this case. Cisdem PDF Converter OCR, is the one. Literally, it is a mac program allowing users to convert PDFs to a wide range of file formats, including Word, Text, Excel, Powerpoint, Keynote, Pages, ePub, Image, etc. Yet, it does more than just allowing “Copy Text from PDF”. You don’t need to manually copy and paste the file, within several clicks to upload, choose output, convert, you will be able to get the text file within seconds. Though a text file requires no formatting, Cisdem PDF Converter OCR will maintain the layout as original, the paragraphs, periods and gaps will be kept to make the text file readable and intact. Still, you can choose to convert your PDF to a well-formatted format (Word, PowerPoint, etc. ), so when you copy text from a PDF, the formatting and layout will be preserved. Convert image to Word, Excel, Powerpoint, Keynote, Pages, JPG, etc. Create PDF from Word, Powerpoint, CHM, ePUB, HTML, Image, etc. How to Copy Text from PDF on Mac? Download and install Cisdem PDF Converter for Mac, launch it. Add PDF to the program. You can drag and drop files to the program, or click “+” to add files. It supports batch processing, you can add multiple files at one time. Prepare for PDF to Text Conversion. For scanned PDF, turn the OCR button ON, choose the page range, then select text in the output format menu. For more accurate OCR results, click the "Settings" icon to manually mark each part as needed, so the program can recognize the contents exactly as you need. For secured PDF. If there is a open password, there will be a lock icon appearing with your PDF, click the lock icon to enter correct password, if you forgot the password, unlock it first; if there is only an owner password, you don’t need to implement any actions, Cisdem can convert PDFs with owner-password-only PDF, go to choose page range and select output as Text. Click “Convert”, then copy text from PDF on mac or use these texts for your own purposes. Unfortunately, Cisdem PDF Converter doesn’t come to us with a version for Windows. However, Icecream makes up for this absence. Icecream PDF Converter is a Windows-only program to convert and create PDFs, it is characteristic of a pinky brisk interface just as its name Icecream make you feel the same way. It is quite easy to use and there is a tutorial video offered on its official website for users to have a quick start. Allow layout settings: page size, orientation, margins, rotate, convert position, etc. How to Copy Text from PDF on Windows? Download and install the program on your PC, launch it. Choose “From PDF” to add PDFs to the program. You can drag and drop files or click “Add PDF File” to import files. It supports batch processing. In the “To” column, you can see the defaulted output format is set as Doc. Adjust the page range or other toolbars to customize the conversion. Click “Convert” to make PDF in editable Doc format. Then copy the text from PDF and paste to your files. If above-mentioned tools are not that appealing to you, or you are just the type looking for a solution for one specific problem, we also sort out following solutions for you, including free or paid methods to copy text from PDF, be scanned or secured. Assuming you have installed Adobe Reader, you can copy text from native PDF with this tool. Open PDF with Adobe Reader. Right click to choose “Copy”. Then paste the text from PDF to your designated file. All are quite easy to manipulate, you can copy text from PDF in the same way as that of using Adobe Reader. The key to manipulate a secured PDF is to unlock the file first. So, there will be at least 2 steps involved in copying text from a secured PDF: unlock and copy. Step 1. Unlock PDF for copying. If there is an open password added to the PDF and you know the open password, upload to online PDF Unlock and enter correct open password for unlocking, if you forgot the password, you will have to find a desktop PDF Password Remover. Now, your file is open for copying, either find a free PDF reader (check the list we give above) to copy text from native PDF, or use OCR service (check the list we give as following) to copy text from the scanned PDF. 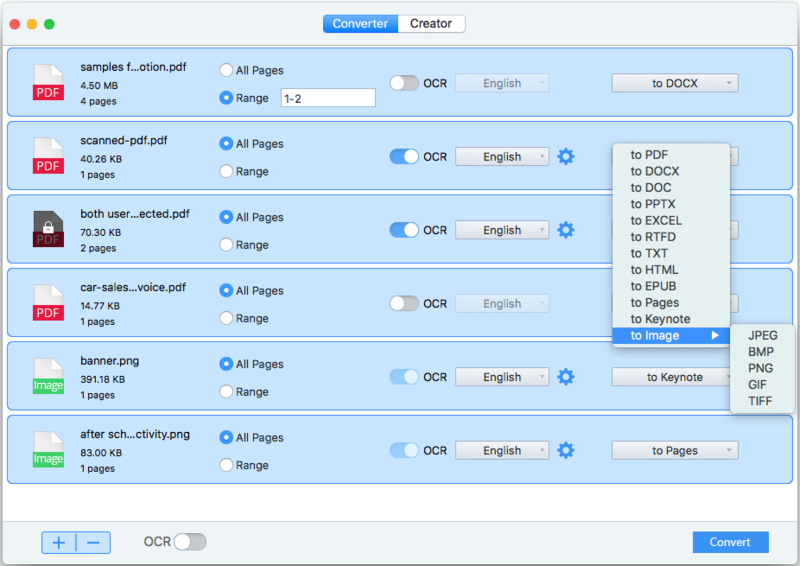 To copy text from scanned PDF, you will need to make the PDF editable with OCR technology. You can either use online free OCR or desktop OCR software. Click “Convert”, once the conversion finishes, click “Download Output File” to get the editable text. Finally, copy the text from scanned PDF and paste as needed. Basing on OCR performance, versatility in function, simplicity, we finally come to following list of best OCR software allowing copying text from scanned PDFs. Copying text from a PDF can be extremely easy when dealing with native PDF, but becomes to tricky when working on secured or scanned PDF. However, no matter which shoes we are in, we have the solution. But if you want an ultimate workaround to solve this problem once for all, try Cisdem PDF Converter OCR or Icecream for Windows. Remove both owner password and open password from PDF files. Do you want to copy the text from image or scanned Chinese files for translation or for other usages? Here are the best Chinese OCR software for mac and Windows users respectively. How to Search A PDF on Mac For Specific Word? Do you want to search for a specific word or key term within a pdf on mac? You can use free Preview and Adobe Reader to search a pdf on mac easily, also a solution for searching a non-searchable PDF is offered. How to Write on a PDF on Mac? PDF format has become diffusely applied to share documents over the Internet. We are dealing with PDF almost every day in the office. Frankly speaking, if you want to work more expediently, you’d better make your PDF file writable. Now check out the particular solutions given in this article, hope these could help a little for your work.